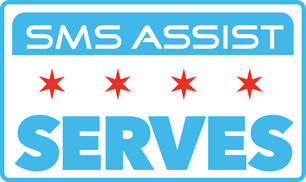 SMS Assist is committed to giving back to the Chicago community through our charity program, SMS Serves. By facilitating good both in and out of the workplace, we hope to reach a vast number of nonprofits in the Chicago area, while utilizing our employees’ passion to serve the communities that SMS Assist calls home. In order to ensure SMS Assist offers these organizations a meaningful partnership, we have given every team member one paid day off per year to spend volunteering for the SMS Serves program(s) of their choice. Learn more about the 2016 SMS Serves partnerships below.